When you’re running the Las Vegas Rock ‘n’ Roll Marathon, running costumes are a must. And what’s more perfect for the strip at night than a “money” inspired running costume? Sounds perfect for the Rock n Roll Vegas Marathon, if we do say so ourselves. And luckily, this is one costume for running that you can actually run in. 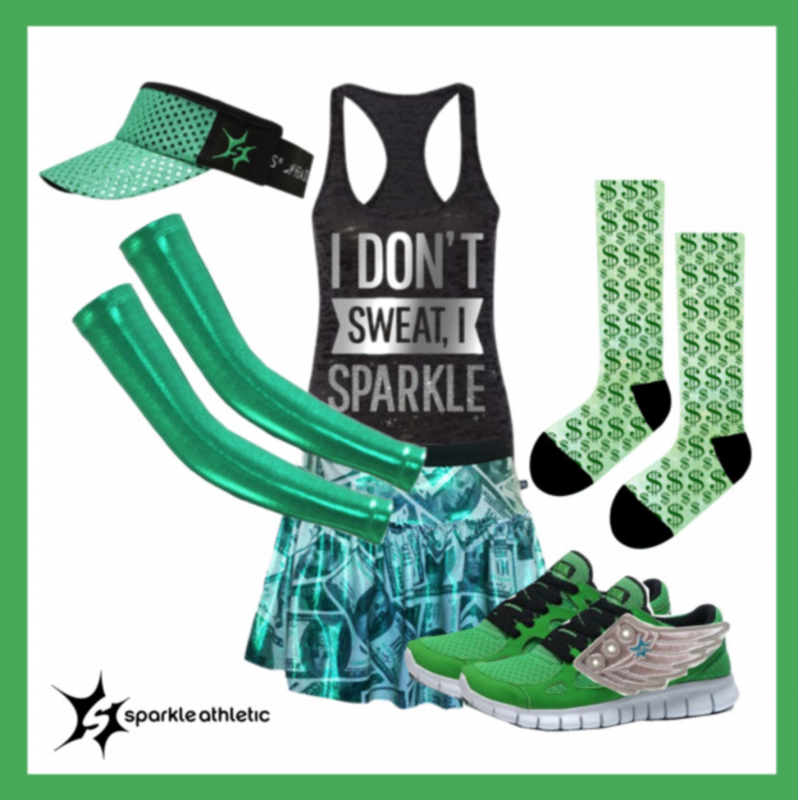 Get NEARLY everything you need for your Show Me the Money Running Costume here. Assembling the show me the money running costume is pretty self-explanatory… but once you’re dressed, voilÃ ! A Vegas-inspired running costumes DIY style.